Let’s be honest, a tray of dry old sandwiches or cheese and pineapple on a cocktail stick isn’t going to cut it for 40th birthday party food - you need to pull out all the stops, and Feast It are just the help you need. Indeed, former Blur bassist turned cheesemaker Alex James famously said, ‘My 20th birthday party was all about booze… and my 40th is about food.’ Wise words Alex, we’re sure you’d approve of these themes and their scrumptious accompanying traders. 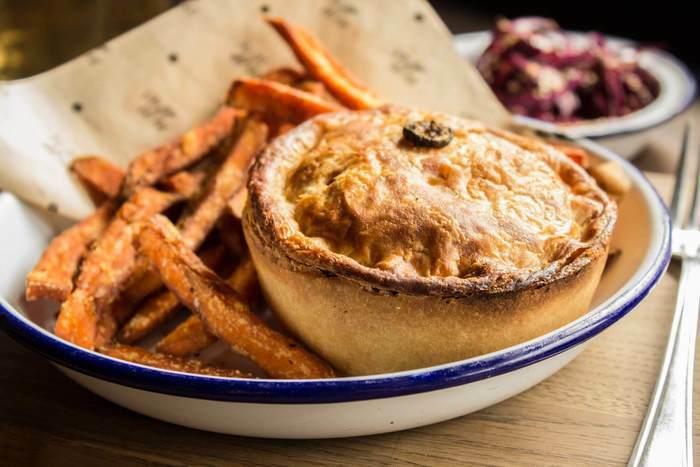 Give your guests the best of British with award-winning perfect pies from Pieminister. What better food to serve at such a party than the quintessential British favourite. Did you know that our great nation happens to hold the annual World Pie Eating Championship in Wigan? Or that pie was made illegal in 1644 by Oliver Cromwell because it gave people too much ‘pagan pleasure’? With carnivorous offerings that use 100% free range British meat, and veggie pies approved by the Vegetarian Society, this really is a good, wholesome brand. Enjoy a variety of flavours, including our favourite, the ‘Matador’ with steak, chorizo, olives and butter beans. Spotify's Cup Of Tea With The Queen playlist provides the best in pie-eating music. Break out the leg warmers and your Wham! LPs from the back of the cupboard and get ready to party like it’s 1989. 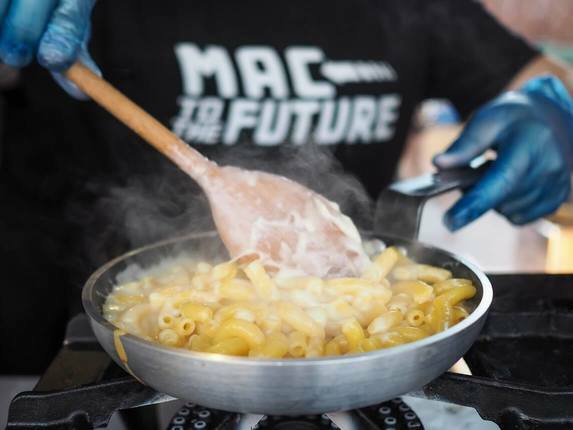 Mac To The Future serve comfortingly retro mac and cheese in a mouth watering variety of flavours, from pancetta, chorizo and spinach, to marmite, mushroom and truffle oil… this is no Kraft Dinner. Their mac and cheese is made using the most exquisitely fresh local ingredients, all sourced here in London, and served in retro branded tubs with a dinky wooden fork. Melt into a land of cheese with this truly glorious grub that is sure to be the talk of the town. DeLorean time machine not included. Crack out your finest MC Hammer Dance with Spotify's All Out 80s playlist. Get a dose of backyard trailer park Americana - think BBQ, brews and bluegrass. 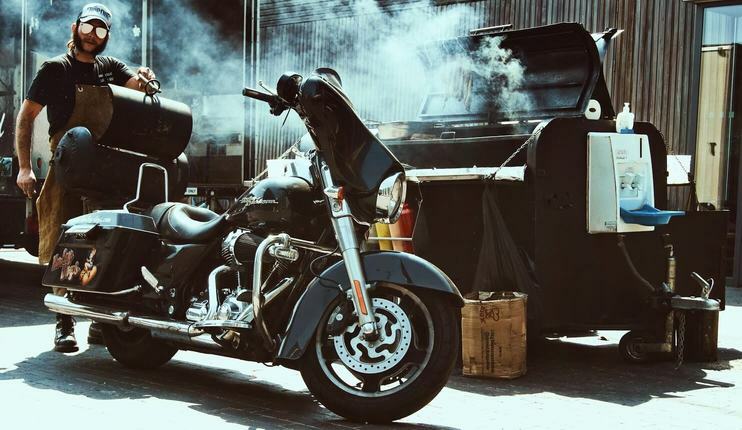 Harley Dogs is a beast of a BBQ, cooked on the back of an iconic Harley Davidson. Despite their badass exterior, Harley Dogs are actually really thoughtful, making everything from scratch using sustainable ingredients sourced from local farms and markets. Dishes such as the legendary triple stacked bourbon burger and the foot long ‘works of art’ hot dogs are sure to keep to guests satisfied (don’t worry veggies, the ‘Halloumi Dreamz’ is a pretty epic meat alternative). Our favourite is the absolute monster that is ‘The Stray Dog’, a 12-incher in a brioche bun, smothered with coriander pesto, sriracha mayonnaise and homemade ketchup. Get in the mood for food with Spotify's Country Nights playlist. Japanese food is known around the world for its style and sophistication, sounds like your 40th birthday party at three in the morning right? We thought so. Put a trendy twist on it all with Rainbo, who serve colourful Japanese street food from their cool 1948 Ford Pick Up. 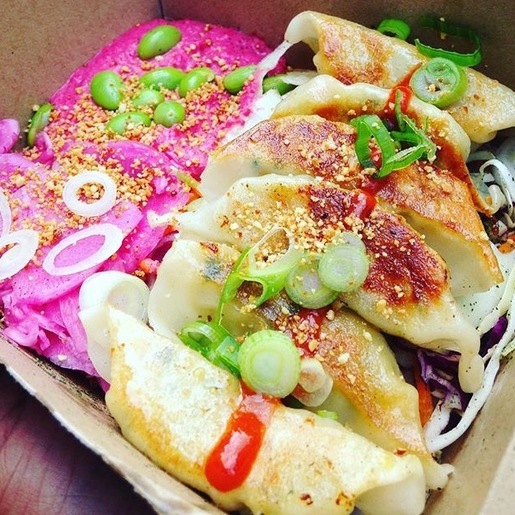 Delightfully fresh and wonderfully healthy, yet comforting and delicious, Rainbo’s gyoza dumplings are particularly great and have been ranked in London’s top 3! Other dishes include sweet potato and aubergine miso curry for the veggies, and the Rainbo Box, which comes with dumplings, rice, beetroot hummus, pickles, edamame beans, and a sprinkling of nutritious nuts and seeds. Get in touch with Rainbo’s roots with Spotify's Tokyo Rising playlist. If you want to show you guests a seriously good time, a proper celebration, then Bollywood is the way to go. It’s all about glitz and glamour, vibrant colour, all-night dancing, and most importantly, great food. 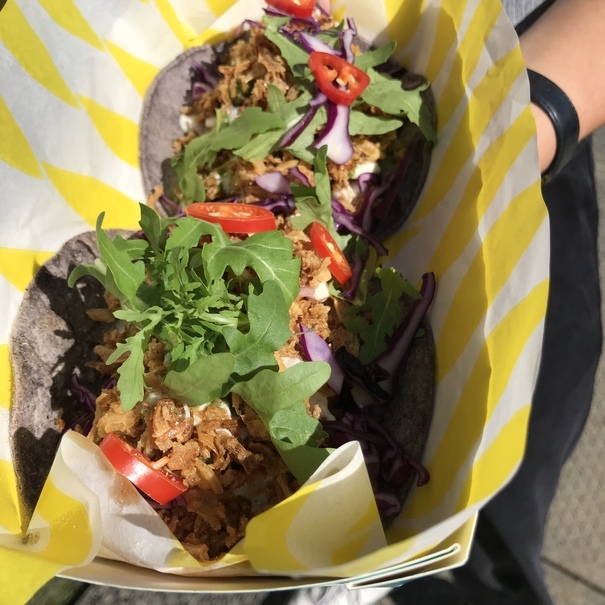 Serving out of their vintage van, the Indian Street Kitchen have put a fresh, modern twist on Indian catering with their outrageously good street food, and are the perfect option for your Bollywood bash. Guests hungry from boozy celebration will love the Dhaba Steakathi, Indian Street Kitchen’s version of the Philly Cheese Steak, loaded with beef, cheese, and authentic spices. The Bombay Chilli 3 Cheese Toastie is a pretty epic Indian take on the humble toastie, served with chilli cheese truffle mayonnaise. Yum. Get your hips shaking with Spotify's Bollywood Party playlist. So that’s the food sorted, now you just need to get the music entertainment lined up and send out the invitations. If you’ve got another idea for your party you’d like to talk to us about, we’d love to hear it. Get in touch and let’s make your 40th a night to remember.